From the best-selling author, Lacey London. Loving life in the glitzy village of Alderley Edge, Sadie Valentine thought she had it all. With her gay best friend, Aldo, for company, Sadie spends her time sipping bubbles amongst the glitterati in her many local bars and restaurants. However, unbeknown to the outside world, Sadie is battling a broken heart. Keeping her mask in place on a daily basis proves harder than Sadie anticipates and when she is dealt more blows, her positive exterior starts to crumble. Sadie soon realises that sometimes, it’s not quite as simple as picking yourself up and carrying on. Once a normal-ish woman, her mental health wasn’t something that Sadie ever thought about, but when the three evils, anxiety, panic and depression creep into her life, Sadie wonders if she will ever see the light again. With Aldo by her side, can Sadie crawl out of the impossibly dark hole and take back control of her life? 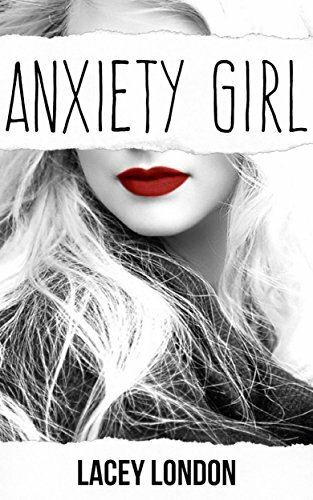 ALL THREE BOOKS IN THE ANXIETY GIRL TRILOGY ARE NOW AVAILABLE TO PURCHASE WORLDWIDE. It's another magnificent achievement for Lacey's remarkable pen. An eye-opening, thoroughly enjoyable and very relatable read! A fantastic insight into the fear, dread and debilitating illness that is anxiety and depression.